backed onto pink gingham - truly baby-girl paper, I think. I coloured the image with my alcohol pens. This is so sweet! 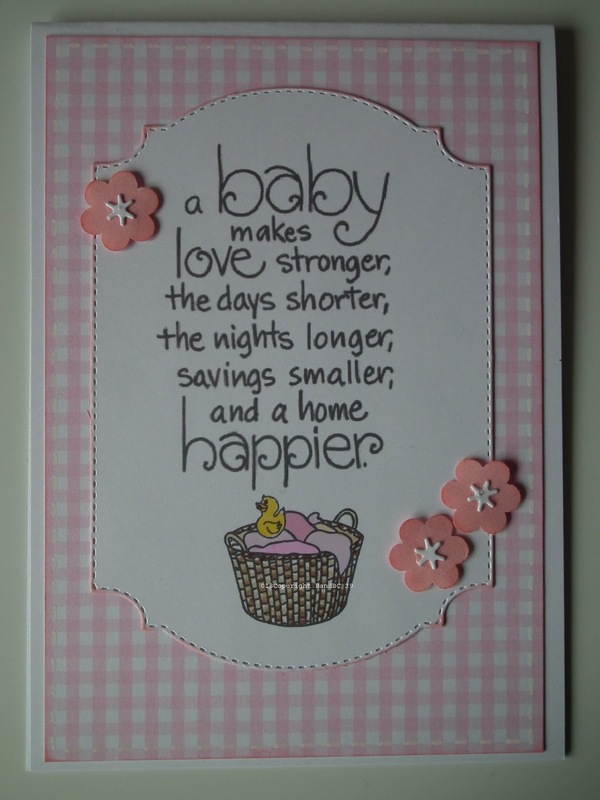 What a perfect card for a new baby girl! Super sweet and adorable!! Thank you for joining us at Creative Knockouts. 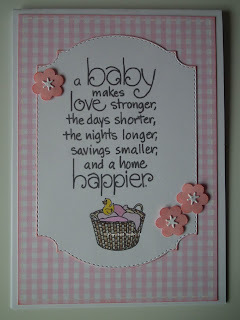 Lovely baby girl card:)! Thanks for playing with us at Through The Craftroom Door ATG Challenge! Looking forward to seeing you again next time and good luck!